Michael graduated from University College Dublin in 1983. He spent the first two years of his veterinary career in mixed practices in Counties Limerick, Cork, Westmeath and Louth. After a couple of years he left to work in equine practices in Sydney, Japan, New Zealand, France, the US, and the UK. Whilst in the UK he bought a small animal practice in London, a diversion he thoroughly enjoyed, however, he returned to Ireland in 2003 to take up a partnership at Troytown Equine Hospital on the Curragh. In 2013 Troytown Equine Hospital merged with GreyAbbey Veterinary Hospital to form Troytown GreyAbbey Equine Veterinary Services. Along his career, he acquired a Certificate in Equine Stud Medicine, a Certificate in Equine Surgery (Orthopaedics) and Membership of the Australasian College of Veterinary Scientists in Equine Surgery. 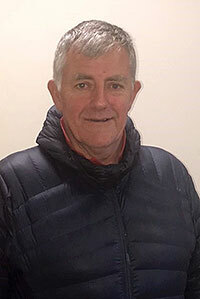 Michael has held voluntary executive positions in several professional veterinary bodies including; Chair of the Equine Group of Veterinary Ireland, Council Member of the British Equine Veterinary Association and currently an elected member of the Veterinary Council of Ireland.